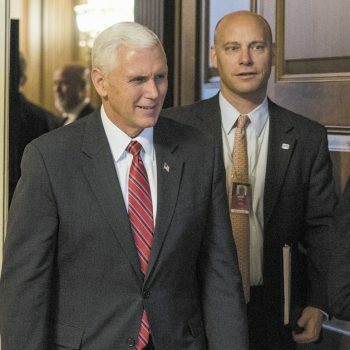 On Capitol Hill: Marc Short ’92 to Join Trump’s Staff President Donald Trump has picked Marc Short '92 to lead his legislative efforts in Congress. A story in Politico notes that President Donald Trump has picked Marc Short, a 1992 graduate of Washington and Lee University, to lead his legislative efforts in Congress. He served as Vice President Mike Pence’s advisor during the 2016 presidential campaign. Marc has worked as chief of staff for Kay Bailey Hutchison, when she was governor of Texas and then senator; as chief of staff 2009–2011 for the House Republican Conference under Pence, who was its chairman; for Oliver North’s 1994 senate campaign; and for Sen. Marco Rubio’s presidential campaign.